The Aboakyer festival takes place annually in May in the Ghanaian town of Winneba. The traditional hunt sees a group of Ghanaian hunters sacrifice a deer in celebration of the migration of the local people from Timbuktu hundreds of years ago. 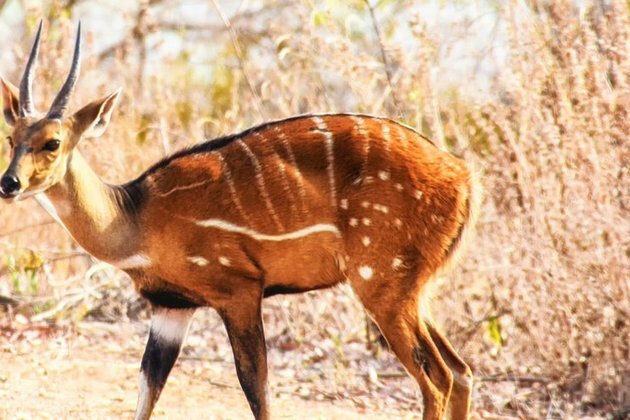 Okay, so they're not necessarily sacrificing a deer, but rather an animal that's a type of African bushbuck. The ritual initially involved a human sacrifice that was offered up to the deity of the town before being replaced by a live buck.